After receiving life-saving surgery at a Charleston, South Carolina-area hospital, a 17-year-old told authorities that his wounds were not, as he previously stated, the result of an accident with a hunting rifle. Instead, they occurred when his cousin shot him over a bag of salt and vinegar potato chips. According to sheriff’s deputies, 19-year-old Ryan Dean Langdale will face charges of attempted murder, using a firearm in a violent crime, and obstructing justice, The Post And Courier reports. Langdale then retrieved a rifle from another room and pointed it at the cousin. The rifle then went off. Authorities later discovered that Langdale switched the rifle involved in the shooting for another rifle in hopes of covering up what happened. As if to emphasize the what-the-fuckery of the story, The Post And Courier notes that Chapman emphasized two additional facts. 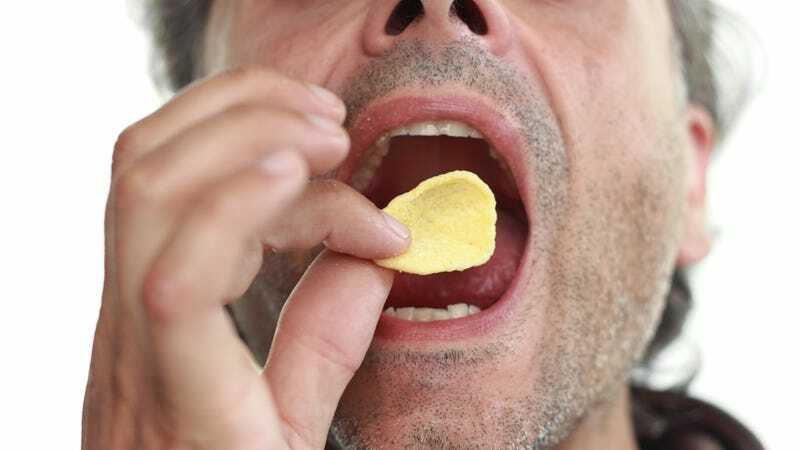 First, there’s no shortage of salt and vinegar chips in Colleton County. Second, the according to the victim, he never actually ate the chips. And we’ll add a third: neither circumstance would suddenly make this a good reason to shoot someone. As of this writing, the brand of chips has not been made public.